Data becomes one of the most important things in the world now and what if these data disappears from your computer? Of course you want them back. 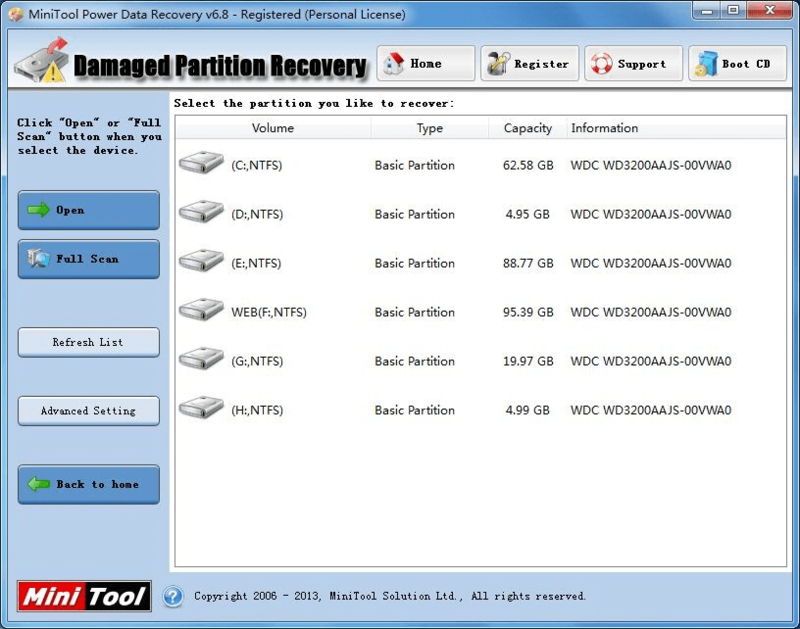 Data recovery software is one of the choices. Some users just don’t believe data recovery software actually works so they go to the data recovery center and pay hundreds of thousands dollars but what they do not know is: the data recovery center still uses some data recovery software. But the data recovery software is much less expensive. To protect your data and to save your money, MiniTool Power Data Recovery is worth a try. 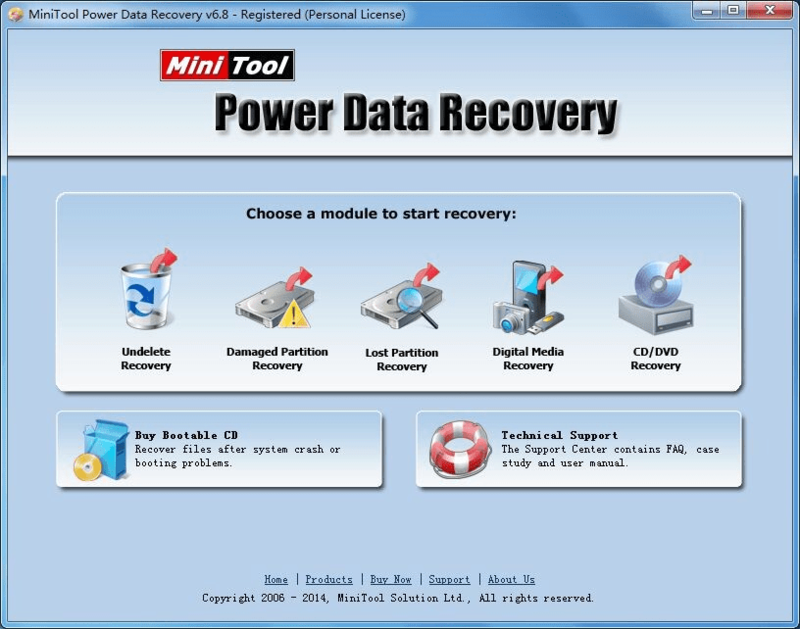 MiniTool Power Data Recovery is an easy-to-use and all in one free file recovery software for home and business users. Its wizard-based operation and simple interface make it easy enough for beginners: just follow each step and you’ll do fine. You do not need to have technical background to use it. Each data recovery module focuses on different data loss condition. MiniTool’s modules are focused on specific data-recovery tasks, giving you a good chance of getting your data back. Version 6.8 comes with an enhanced scan & recovery data engine and supports 4096-byte-sector-based hard drive. Actually we gave away MiniTool Power data recovery personal version in 2014 and thanks to MiniTool, we are now providing another giveaway of this version in 2015 but this time it will be as a freebie. Any one can get the license key of the useful software without any hassle. Take this chance if you need one. So it easy for you all as you just need to download the software for your use and put the license code which is provided here when it will ask by the software and enjoy it. Keep this in mind that this freebie/giveaway will be running till March 31st, 2015. So grab it before the offer goes. Thank you. Thanks for sharing info about freebie. That was a very useful post.